Sean Gallup/Getty ImagesAmerican cyber security activist Jacob Appelbaum, who has been scrutinised by U.S. law enforcement, speaks at the 2014 re:publica conferences on digital society on May 6, 2014 in Berlin, Germany. The conference brings together bloggers, developers, human rights activists and others to discuss the course of the digital future. Re:publica will run until May 8. 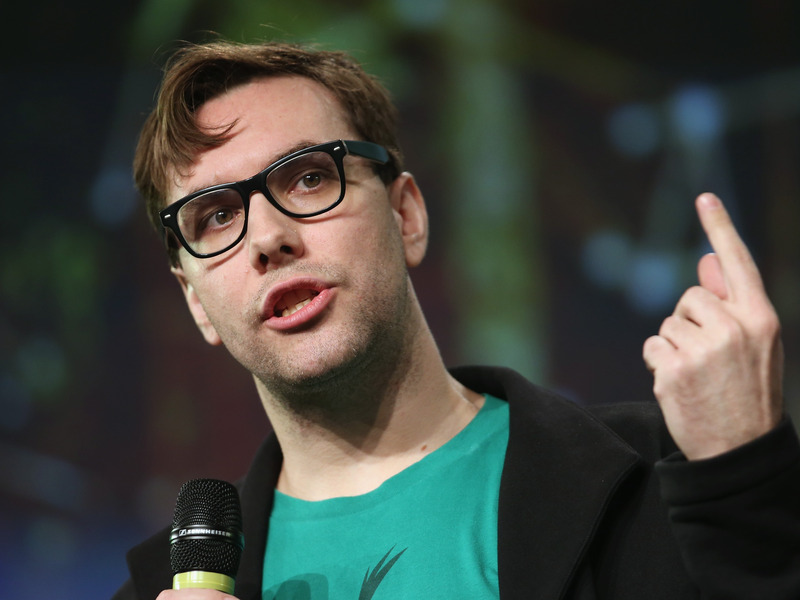 Prominent security developer and digital rights activist Jacob Appelbaum has denied allegations of “sexual misconduct” that led to him stepping down from his position at The Tor Project. Until Thursday, Appelbaum worked as a developer for The Tor Project. The organisation is responsible for Tor, the network that lets users access the “dark web” internet anonymously. On Saturday, executive director Shari Steele published a statement saying that Appelbaum stepped down after “an extensive internal deliberation and discussion,” and after The Tor Project spoke to some of those accusing him. The 33-year-old developer lives in Berlin, Germany, and is a prominent figure in digital rights and “internet freedom” circles. He is also a sometime journalist — reporting in 2013 that Germany believes that the United States tapped the phone of its chancellor, Angela Merkel. Vague rumours and smear campaigns against me are nothing new. As a longtime public advocate for free speech and a secure internet, there have been plenty of attempts to undermine my work over the years. I think it’s extremely damaging to the community that these character-assassination tactics are being deployed, especially given their ugly history of being used against fellow members of the LGBT community. It pains me to watch the community to which I’ve dedicated so much of my life engage in such self-destructive behaviour. Nonetheless, I am prepared to use legal channels, if necessary, to defend my reputation from these libelous accusations. I’ve dedicated my life as a journalist, activist, and longtime member of the Tor Project to advocating for the transparency of public processes and to speaking out about the necessity of privacy, security, and anonymity. These are ideals that I will continue to uphold, despite the vicious campaign that is currently being waged against me.